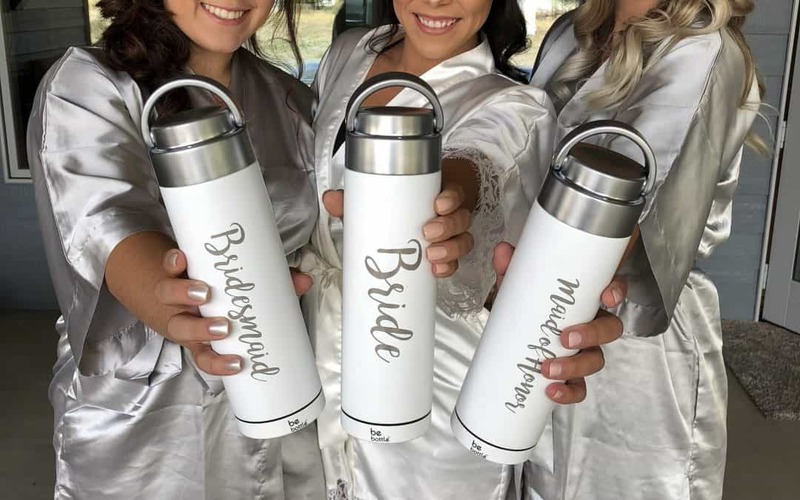 Once you’ve selected the closest family and friends that’ll make up your bridal party, brides and grooms typically start the hunt for unique gifts to make them feel loved. While there are many products to choose from, you’ll want to make sure that special gift makes them feel appreciated. From gift baskets, to bags, and custom shirts, you can get lost in a huge range of options when it comes to picking the right gift. Before you go crazy researching, go through this list and make sure you’re checking off every box. We don’t necessarily mean that you have go out and buy everyone handcrafted Italian shoes. However, giving them something that will last more than a few months shows greater appreciation. Do some research and find something that they wouldn’t be able to find at their local store. Getting someone a personalized gift definitely adds an extra touch of thoughtfulness. There are many products that you could put their name on but make sure you follow our first and second tips to select the right one. There is no better way to make someone feel special than to give them something to treat themselves. Some ideas include face masks, lotions/after-shave, bath bombs, and relaxing scented candles. These are great items to bundle together in baskets. A good way to know if you’re picking a good present, ask yourself if it’s something you would enjoy receiving? This will be a clear indicator of whether or not you’re on the right track! When considering what gift to give the members of your bridal party, it’s important that you choose the right thing(s) that will make them happy and appreciated. Another easy option is our Wedding Collection: a custom Be Bottle that your wedding party will love! Interested in personalizing bottles? Send our team a message and we will make sure your special circle of friends get a gift to remember!